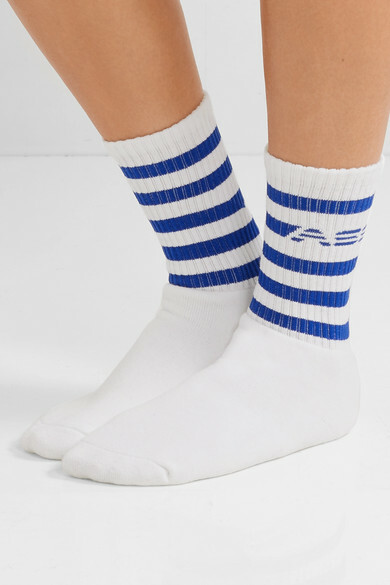 Adam Selman Sport's socks are made from soft cotton-blend and printed with sporty stripes and the brand's bubble-letter logo. They're designed in a crew length that hits mid-calf and are tightly ribbed to ensure they stay perfectly in place. 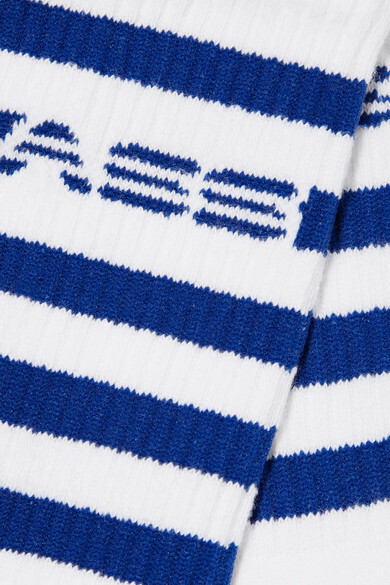 Wear them with the label's polo shirt and mini skirt to your next tennis match. Shown here with: adidas Originals Sneakers, Burberry Shoulder bag.